Custom Martin D-41 Guitar Natural SolidFeatures1.Custom-made dreadnought D-41 guitar2.All solid wood.. 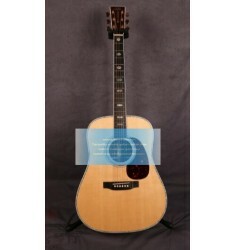 Custom Martin D-45 Acoustic Electric Standard Features1.Model:M-D45S(41'')2.Top wood:AAA .. Custom Martin D-45 Cutaway Tree of Life Guitar FeaturesDreadnought cutaway,solid sitka spruce t.. Custom Martin D-45 SS Standard Series Natural FeaturesCustom-made all solid wood wi.. Custom Martin D28 Standard Series Sunburst(2018) Features Size: 41" Top: Solid sitka .. 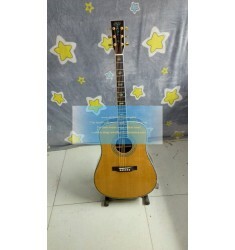 Custom Martin D41 Acoustic Natural(Hot sale) FeaturesModel:D-41Guitar Series:StandardGuitar Typ.. Custom Martin D45 Dreadnought Standard Series Guitar Sunburst(2018 new) FeaturesModel:M-D45S(41..
Free shipping custom best acoustic guitar Martin D45 Standard Series(Hot Sales)Custom Martin D45 Gui.. Custom Martin D45 KOA Dreadnought Cutaway Guitar(Highly Recommend) FeaturesAll solid woodSolid .. Custom Martin D45 KOA Solid Guitar Fancy Abalone Inlay FeaturesAll solid wood special cus.. Custom Martin D45 Standard Series Cherry Sunburst FeaturesDreadnought D-45Solid sitka spr.. Custom Martin D45s Acoustic Guitar For Sale Fancy Abalone Inlay Features:Custom Martin D-.. Custom Martin D45s guitar Personalized Features:All solid wood,solid sitka spruce top,solid ind.. Custom Martin D45s Guitar Solid Sitka Spruce Top 2018 Features1.Custom-made Martin D-45s ..